In Barrie and surrounding area, we provide boaters with direct access to marine hardware, sailing supplies, boat accessories, yacht equipment and all at excellent prices. 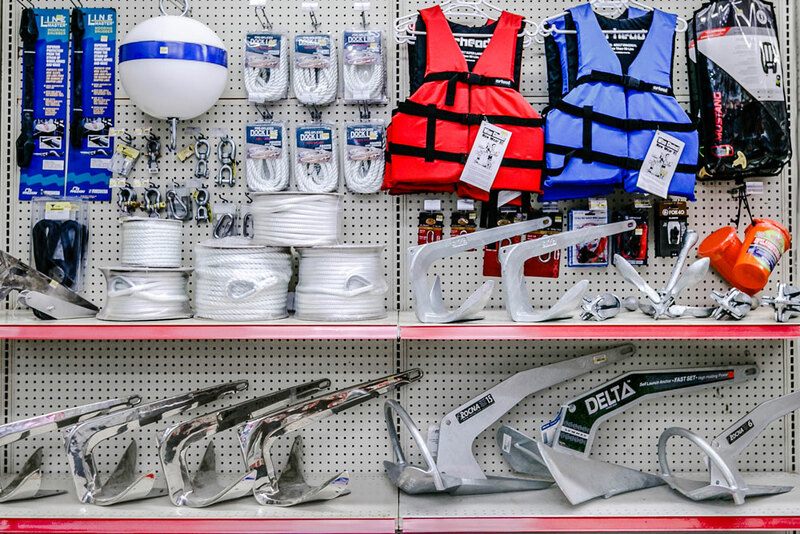 Our marine supply service is well stocked for boaters with everything from anchors, shackles, bumpers, fenders, personal floatation devices and dock lines. If it's stainless steel fittings, whether a hinge or a handle, we have it all for your boating or marine needs and we're just a call away. Established and quality brand names that we carry are Interlux Boat Paint, West System Epoxy and Resins, Captain Phab, Starbrite, Jabsco, Rule-Mate, Attwood, Mustang, Lewmar, Rocna, Marinco, Harken and Kuuma. 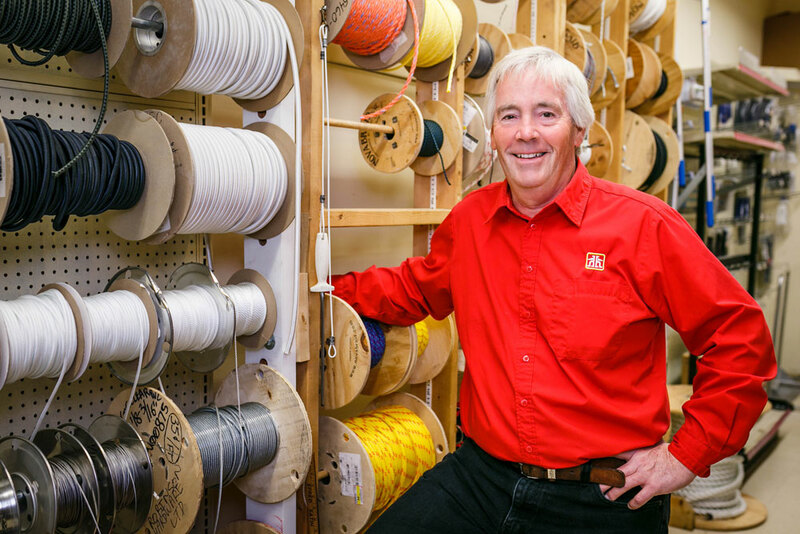 Our staff of over 14 full and part-time employees, have been servicing the Barrie area for over 93 years and are happy to help your with your next marine supply purchase. 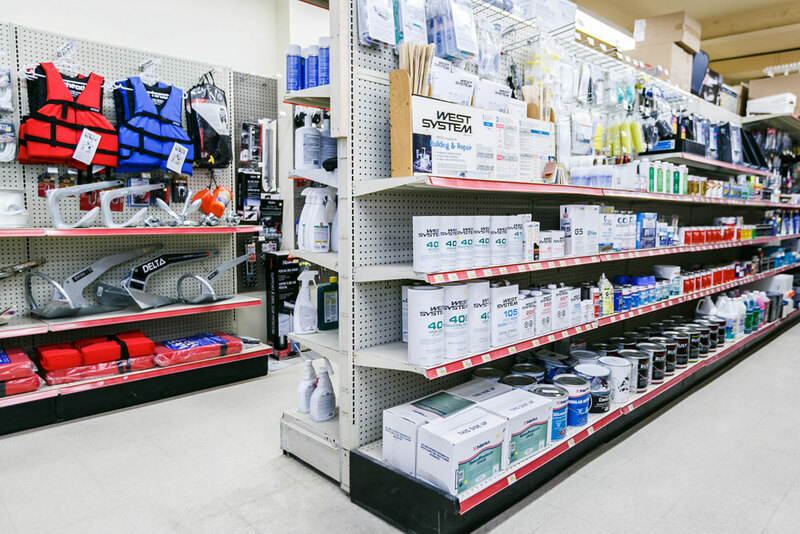 The following is a list of marine supplies which Robinson Home Hardware stocks. Interlux boat paint | epoxy | safety equipment/kits | flares | PFDs | Inflatable PFDs | BBQs | fenders | fender lines | dock lines | anchors | anchor line | boat cleaners | boat wax | teak cleaner/restorer | holding tank treatment/deodorizer | cleats | blocks | turnbuckles | shackles | lighting | electrical wire | sail patch tape | bilge pumps | bilge hose | oars | paddles | gear oil | sailing gloves | stainless steel fittings | rail fittings | winch handles | wind indicators | battens | marine adhesives | fuel line kits | fire extinguishers | and much more! "If we don't have it in stock we'll get it for you!" About 15-20% of our marine business is special orders which usually take between 1 and 3 business days to arrive.